A small to medium sized dog, the beagle weighs between 20-28 lbs and is 12" to 16" in height. Sometimes referred to as the English Beagle, this breed is energetic, friendly and loyal both as a family companion and hunting dog. 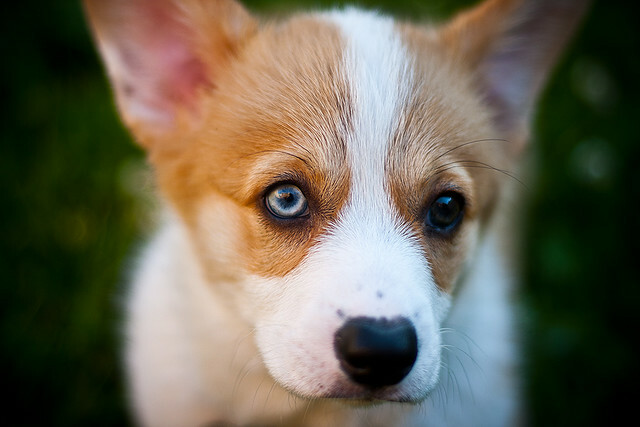 Coat colors accepted by the AKC are orange and white, lemon and white, red and white or tri-colored. Black, white and tan tri-colored coats are the most common. Their medium-length coat is smooth, hard and close. It requires minimal brushing and only needs to be washed occasionally. Friendly, loyal, loving and playful are all qualities that make them excellent family pets. 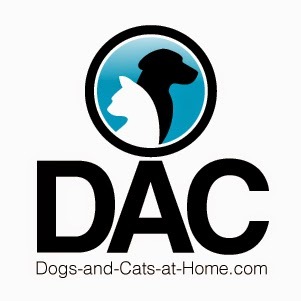 Homes with other dogs, pets, and children can all welcome the Beagle as part of the family. They require minimal socialization and actually enjoy the companionship of other pets and their family. 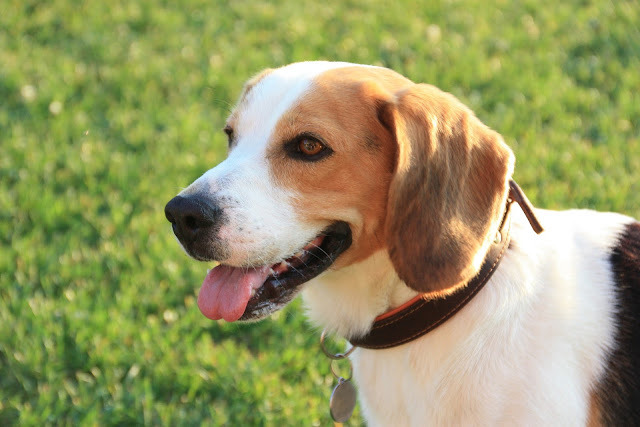 A very energetic breed, the beagle needs a home that will give them plenty of play time, exercise, and regular walks. When outside they should be in a fenced in yard and a leash should be used for walks as they have a tendency to explore and follow scents. They make good watchdogs as they will let you know if someone is at the door by barking, but they are naturally friendly with strangers, so don't expect them to be good guard dogs. Originating in England, this scent hound was bred for hunting rabbits and quails. They would often hunt in packs or pairs, but can also hunt well alone as well. They have an excellent sense of smell which makes them good at tracking and as narcotics dogs. Today they are mainly seen as companion dogs in the United States, but they are also used as hunting dogs. A breed with such a friendly, loving nature is perfect for just about any family dynamic. Because of their high energy level and need for regular exercise, they work best with active families or those that have a yard where they can have plenty of time to roam and run. If you are looking for an affectionate breed that enjoys family companionship and loves to play, then the Beagle is the perfect dog for you. The Beagle is a member of the Hound Group and is America's fifth most popular dog. This breed has origins dating back roughly 2,500 years ago. Today, the Beagle's keen sense of smell makes it the popular choice for working in airport security, while its amiable nature, size, and lack of health problems make them a common choice for a family pet. The first modern day Beagle originated in England in 1830, but the Beagle's ancestors can be traced roughly 2,500 years prior in ancient Greece when William the Conqueror bred Talbot Hounds to create the Southern Hound. In Medieval times, hunters used what were called "Pocket Beagles" that could fit in the hunter's pockets and could be released after larger dogs had cornered prey in areas that only smaller dogs could reach. King Henry VII and Queen Elizabeth I were huge fans of the pocket beagle, which became extinct around the year 1900. By the 1700s, the North Country Beagle and the South Hound were the two breeds used for hunting rabbits and the Beagle's main common ancestors. The two breeds were mixed with the Foxhound, as fox hunting became a popular sport in Great Britain. 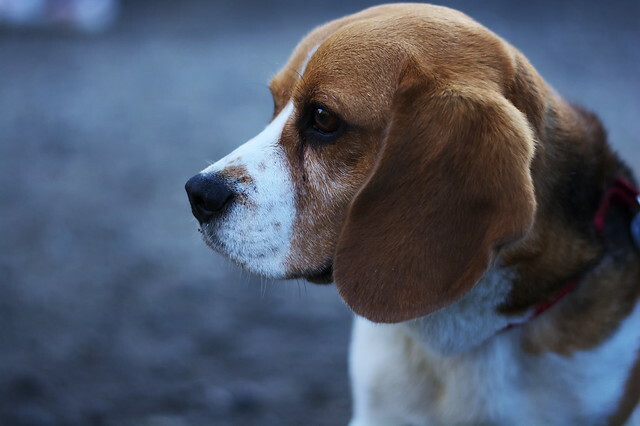 In 1830, the basis for the modern day Beagle would appear when Reverend Phillip Honeywood of Great Britain would begin breeding dogs that slowly moved away from the North County Beagle and South Hound. The first Beagles were smaller and had pure white coats. Approaching the 1900s, the number of Beagles had risen and the standard for the breed was recorded. General Richard Rowett from the United States had Beagles imported to his home in Illinoise, where he would begin breeding them and helping the Beagle become recognized by the American Kennel Club in 1884. Coat: Beagles can come in a variety of colors, such as the Classic tricolor, the Faded tricolor, and the Dark tricolor. Head: A slightly domed skull and medium-length muzzle. The ears are set somewhat low and hanging almost to the nose. Brown or hazel eyes set well apart in a gentle hound expression. Body: A sturdy body with a broad and deep chest. Strong legs and sloping shoulders. The tail is set somewhat high. They are a small-sized breed, weighing from 18-30 lbs. If the dog measures more than 15 inches. Any cringing or sulking behaviors. Straight shoulders or a disproportionately wide chest. Tail that is curved or short. The Beagle is a happy, loving, and outgoing breed that will greet both people and other animals with joy. For this reason, they do not make good guard dogs. Small rodents should not be trusted around Beagles since they were bred to hunt small prey. Beagles are content to curl up on the couch with their owners and relax, but this breed needs daily exercise and mental stimulation. Without it, they can become destructive. Beagles should be trained early and are easily motivated with food. Grooming: The Beagle's short coat only requires a quick brush once a week to remove dead hair and they do not need frequent baths. Living Situation: This breed can live in apartments or houses, as long as they get a daily walk. Exercise: A 30-minute walk daily will be sufficient. Common Health Problems: The Beagle is one of the healthiest breeds and therefore, is not susceptible to many health issues. Obesity can occur in Beagles if left to free-feed. The Rundown: Beagles are healthy, happy pack animals that need homes with multiple people. A fenced yard is a necessity due to their strong scent drive and inclination to wander. Their size is perfect for most living situations, but their tendency to howl can be detrimental to apartment living.